This past weekend, high school, junior varsity, junior high and middle school teams took the blue mat at NCA High School Nationals 2019! Three of the most anticipated divisions at the event are the Small, Medium and Large Advanced High School Performance categories. The best all-around teams from the United States compete in these divisions. Some went back-to-back and some we’re named champion for the very first time! Valley High School went into Day 2 in fourth place. The team from Iowa showed up on Finals day and dominated the Small Advanced Performance division. Watch their championship winning routine! In 2018, Dracut High School came in second and fell just short of a national title. This year, the team came back wanting to claim the title of National Champion and all of their hard work paid off after receiving their championship jackets. Check out their Finals routine! 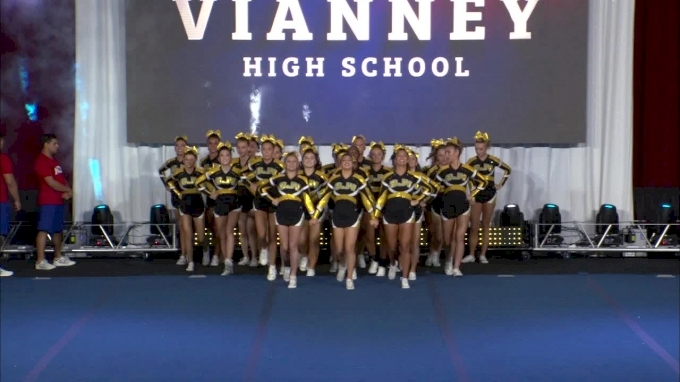 St. John Vianney went back-to-back and reclaimed their title! The team set out for Texas with goals in mind and they returned to New Jersey with a national championship trophy and jacket. Watch the back-to-back champions routine!